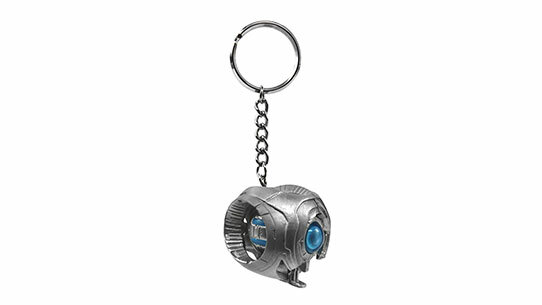 Similar to other Forerunner monitors installed across the galaxy, 031 Exuberant Witness is an ancilla concealed within a hovering spherical armature, and capable of managing and operating the various functions of the Genesis installation it was charged to do. As with some of the other monitors, Exuberant’s relatively mundane existence over the past hundred thousand years has caused her to become eccentric, talkative, and somewhat prosaic in her communication. 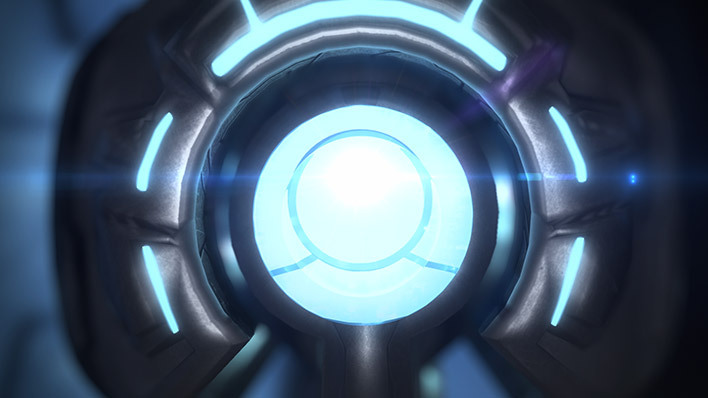 Installed on Genesis to help maintain its systems and the secret gateway to the Domain, 031 Exuberant Witness was given charge of the entire installation upon the activation of the Halo Array. Exuberant halted its normal production of seed worlds, and Genesis entered a dormant state. 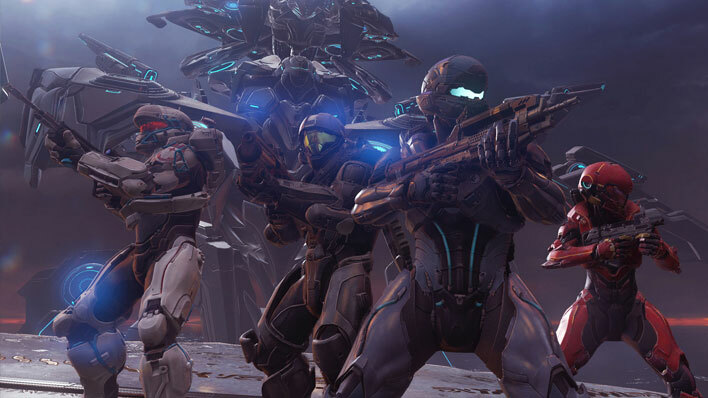 Halo’s firing eventually severed all access to the Domain. 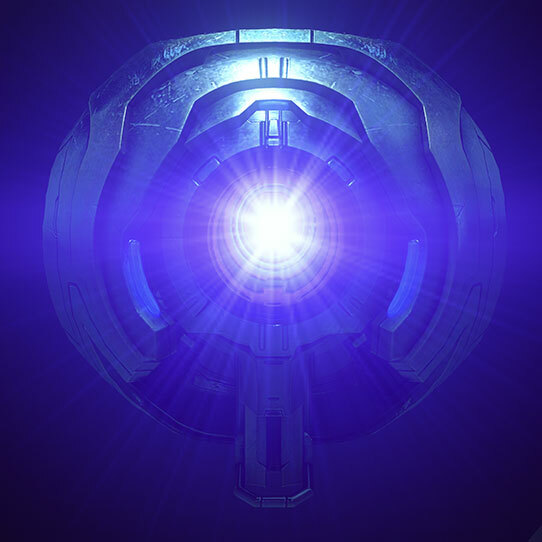 This relative dormancy lasted over a hundred thousand years, but was disrupted when the gateway to the Domain suddenly became active again, revealing a human-created AI who called herself Cortana. After making a pact with the Warden Eternal, Cortana quickly subdued Exuberant, forcing the monitor out of Genesis’ main control systems. The rogue AI planned to reclaim the Mantle of Responsibility, activating Guardians hidden throughout the galaxy as a means to enforce this new power. 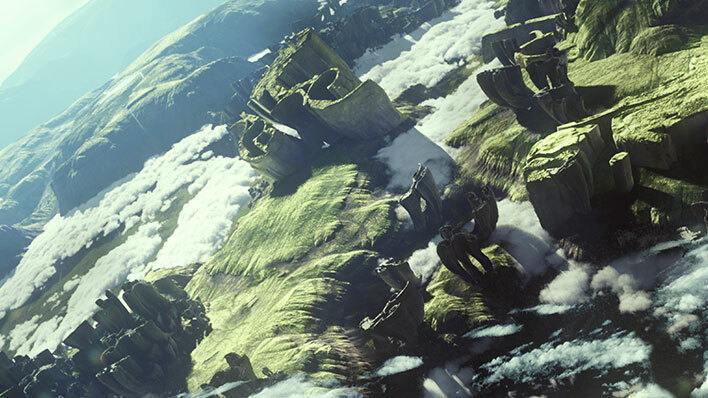 She gathered these incredibly destructive machines to Genesis, with plans to dispatch them. 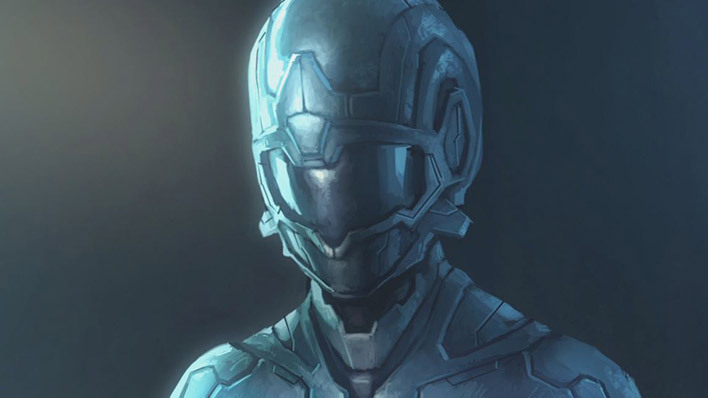 The Spartans in Fireteam Osiris had followed one of the Guardians to Genesis and sought to stop Cortana. Exuberant worked with them to fight against the Warden’s Promethean forces and the Covenant. 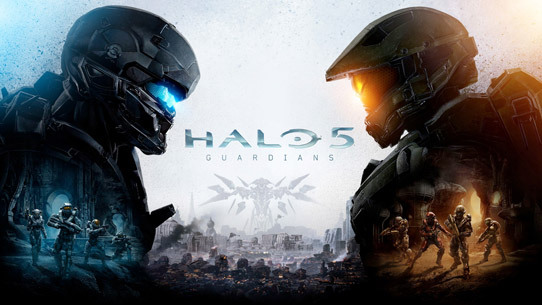 In the end, despite efforts from both the monitor and the Spartans, they were unable to halt Cortana’s deployment of the Guardians.